Gameleon wordpress theme is a complete solution for your magazine, newspaper, editorial, publishing, review or gaming website. Compatible With BuddyPress 2.1.x and Responsive Design. 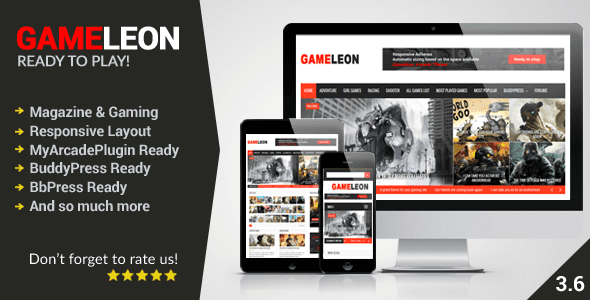 0 Response to "Gameleon v3.2 WordPress Magazine & Arcade Theme"